While in recent years filmmakers J. Stuart Blackton and Albert Smith have been given most of the credit for making the Vitagraph Company into America's most successful and important early film producer, a very strong case can be made that this firm's achievements are very largely the consequence of the vigorous and innovative leadership provided by the company's president, the English-born William T. Rock, universally known as 'Pop' Rock. His nickname comes not only from his membership in the oldest generation represented in the dynamic young medium of the cinema, but also from his seniority as a pioneering film exhibitor. The manager of a billiard parlour in Harlem, Rock bought the rights to exploit the Edison/Armat Vitascope in Louisiana on 16 June 1896, in partnership with the carnival showman and tightrope performer Walter J. Wainwright. Twelve days later they opened at the West End amusement centre of New Orleans. A vigorous advertising programme used slogans ('After Breakfast Visit the Vitascope'), coupons ('This coupon admits on the day of its date, any child under age of ten years accompanied by an adult'), and controversy (over the morality of the May Irwin Kiss) to keep their shows in the public eye. By August there were different programmes for morning and evening shows; in March 1897 the partners offered a two hour programme of over fifty films at the Grand Opera House for the substantial admission of twenty-five cents. 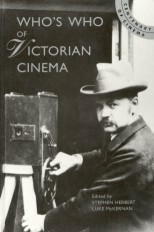 When the Lumière Cinématographe arrived in New Orleans, on 21 June 1897, Rock and Wainwright immediately made arrangements to order some hundreds of Lumière films for the Vitascope: by 11 July, they were advertising Lumière films at their 8.45pm showing and Vitascope films at 10.30 pm. The competing apparatus left the city in mid-August. Through these and many other active promotions (legendarily including a charge to the public for looking at the marvels of the projection apparatus itself) Rock and Wainwright became the only Vitascope concessionaires in America to make a profit. In 1898 Rock moved to New York and began a partnership with the successful young filmmakers Blackton and Smith, while keeping the previous exhibitions running in New Orleans and elsewhere. As president of the Vitagraph Company, Rock sent his original partner Wainwright to London as an agent to acquire foreign films, and by 1900 Vitagraph had nearly 250 foreign titles in their stock, mostly English and French, and including the George Méliès trick films. Rock's aggressive yet gregarious style (even fighting when settling with Edison over royalties) brought Vitagraph to the forefront of the American film companies, but with the formation of the Motion Picture Patents Company in 1908 his rough-and-tumble experience was out of step with the corporatization of the motion picture business men who now rose to prominence. 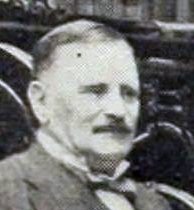 He became the manager of Vitagraph's New York exchange, and when it was sold to the General Film Compoany in 1910, the next MPPC monopoly organization, Rock went into semi-retirement. He negotiated the rights to the Jim Jeffries-Jack Johnson championship fight of 4 July 1910 on behalf of the MPPC, and then became a promoter of special projects for Vitagraph until his sudden death on 27 July 1916, a colourful and legendary figure of the earliest days of the movies.